Hunnypot Cottage is not so much a business as a passion for Ruth Redgate. 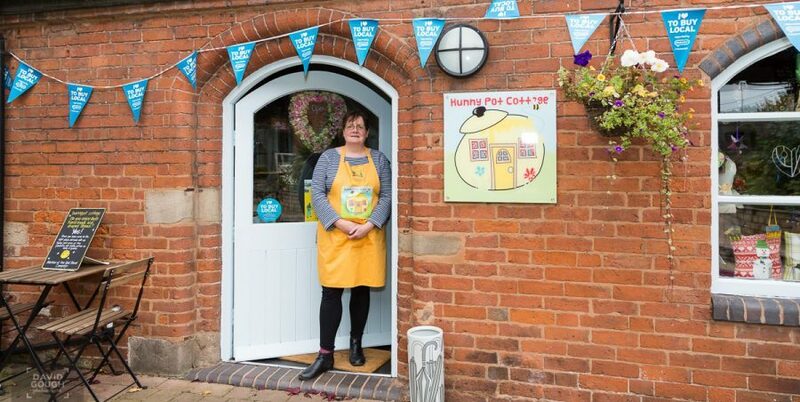 You’ll find her shop at the Heart of the Country Shopping Village at Swinfen on the outskirts of Lichfield. What you’ll discover when you get there is her friendly greeting, a range of delicious, artisan home baked bread, a range of other specialist food products, and an even greater range of crafts (an ideal place to visit if you want something out of the ordinary to give as a gift). Ruth has been in the craft business for 9 years. Initially it started as a hobby and then gradually developed into the current premises at Hunnypot Cottage. She started by making a variety of craft items – including crochet, beaded jewellery, and lace. And since 2013 she has been offering her home baked bread. 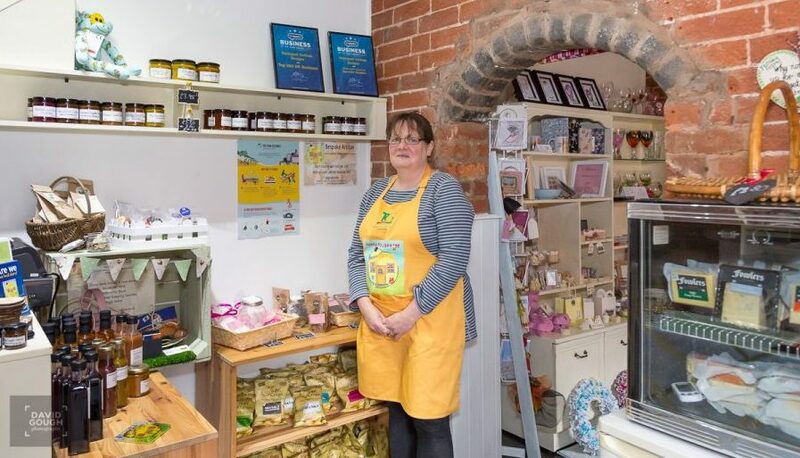 She is also a wife, mother, assistant scout leader, member of the Townswomen’s Guild, Ambassador to the Love Ladies Business Group, and was recently appointed host of the Lichfield Food Assembly. Rumour has it she still finds time to relax and even to sleep now and again. The bread is something special and is baked daily using just flour, water, yeast, fat, and salt. Unlike most shop bought bread, Ruth’s bread contains no dough improvers. Ruth imports white flour from France, which is probably why her French baguettes taste so authentic. The range of loaves is displayed on cards on the wall behind the till, and if you get there early enough you’ll have more choice – the cards come down when each type of bread is sold out. On the day I was there the range included baguettes, white bread, chilli bread, pistachio bread, sun-dried tomato and black olive bread, and sun-dried tomato, garlic and Mozzarella bread. Ruth has over 30 different bread recipes that she can make. Commercially bread making uses a process that includes additives to allow the bread to be made quickly. Ruth’s bread uses traditional ingredients and methods that allow time for the flavours in bread to develop naturally. 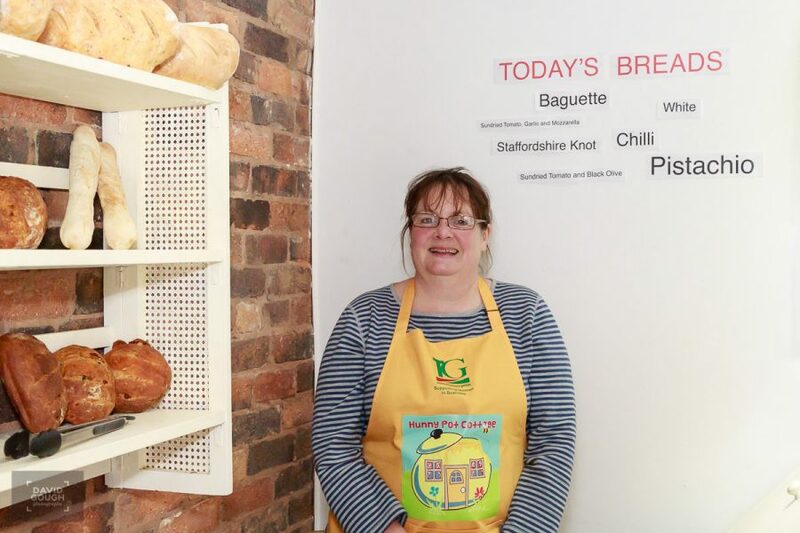 If you are interested in making your own bread give Ruth a call as she offers bread making courses. These are done in your own home so that you get to know your oven. 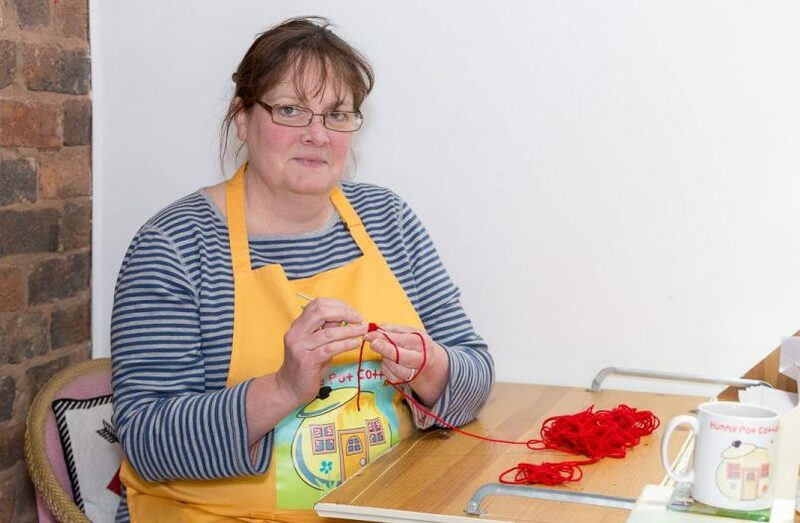 Part of the ethos of Ruth’s business is that it should be locally made. All the items on display, whether edible, wearable, or ornamental, all come from crafters working within a 30 mile radius. 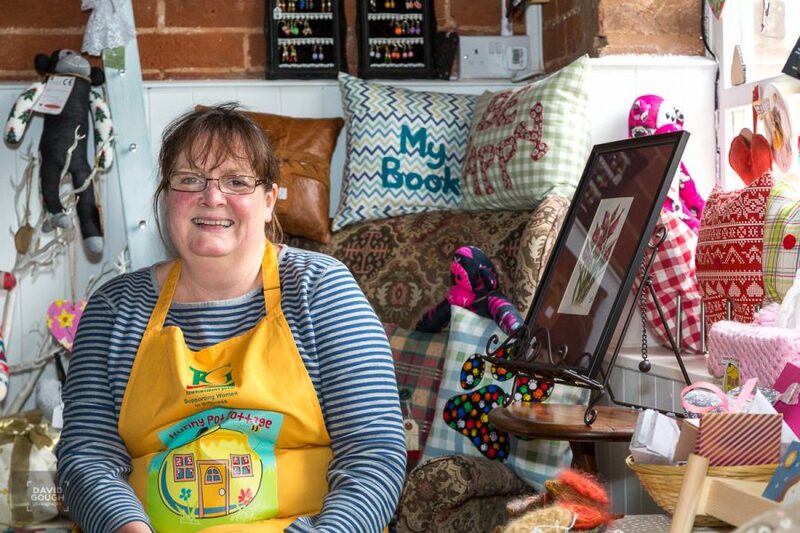 The crafters rent space in the shop to display their wares and the food items are bought in at trade prices for Ruth to sell. There are 14 crafters represented at the time of writing, and they make some delightful products. The food is sourced from nine different producers and includes chutneys, jams, and cheeses. The Food Assembly is a new development for Ruth and is coming soon to Lichfield. Food assemblies started in 2011 in France. The first UK Food Assembly appeared in London in 2014 and the idea has started to spread around the country. Each assembly is independent while remaining part of the Food Assembly collective. Today there are over 700 across Europe. So what is a food assembly? It is a coming together of customers and producers and is facilitated by a host – Ruth is the local host. Each week the customer decides what food products they want so the individual producers can make or harvest exactly what is required. There are no middlemen so the food producers get a greater return for their hard work, while the customer gets fresh, wholesome produce. The hosts act as coordinator and provide a pick-up point where customers go to collect their food. This also has the advantage of cutting down on food miles and increasing freshness. Suppliers for the food assembly are all listed on the web site so you can see exactly where your food comes from. Great blog post David. Ruth’s bread is one of the few that I can really enjoy as the flour improvers used by the big bakers play havoc with my digestive system. And the crumpets . . . mmmmm. Looking forward to The Lichfield Food Assembly starting in November. Good to see you got a pic of her smiling.